Ingate Systems enable SIP-based VoIP through NATs and firewalls. Try our SIParator®/Firewall® interface here. Ingate SBCs are available as hardware, or as a software deliverable for virtual machines (VM) or the cloud (Amazon Web Services, Microsoft Azure, OpenStack, Google Cloud Platform). Ingate issues the Ingate SIParator Training Certificate to those who complete our technical course, either at our location, your location or via remote training. Ingate also offer Remote Online Training through The SIP School. Visit The SIP School to get started. Ingate SIParator® E-SBC has completed successful interoperability testing with Microsoft Exchange Online UM. Read more in thePress Release. View a list of ourInterop tested IP-PBXs. With an Ingate product at the customer network edge, Internet Telephony Service Provider (ITSP) can interface with any SIP-enabled IP-PBX, eliminating the need to achieve interoperability with every IP-PBX vendor and address the widest number of customers. Ingate Firewalls and SIParators serve as a “normalization engine” between the IP-PBX and ITSP, paving the way for a successful SIP trunk roll-out. Ingate's SIParator/Firewall is perfect for Microsoft's products and cloud solutions. 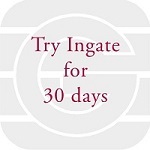 Ingate has the longest experience of successful SIP Trunking of Microsoft LCS, OCS and Lync. A large variety of ITSPs are supported. The SIParator with TLS and SRTP encryption transcoding capability is required to connect IP-PBXs to the Exchange UM components of Microsoft Office 365 for voice Mail and IVR. An Ingate Systems platform can easily be integrated to your enterprises. Ingate and its sister company Intertex have presented a radically new and easy to deploy way for a Global Unified Communication, the Internet+. Breif: An Internet+ Model for Global Unified Communication. Presentation: Overview of an Internet+ model. Both TOQrouter products and TR-069 Element management System are available. Ingate Systems adds new call control, service orchestration and product management features to Ingate SIParator Session Border Controllers (SBCs) with new software version 6.2.1. Watch TMC interview where Ingate's Steve Johnson discusses Ingate's SBC advantages and cloud solutions with Amazon Web Services, Microsoft Azure, OpenStack and Google Cloud Platform. To learn what SBCs can do for you, view the webinar “8 Reasons to Use an SBC”. Ingate Systems President Steven Johnson will discuss how SBCs address diagnostics, quality, reliability, and security. It was presented on Oct. 31 and the recorded presentation can be found here. 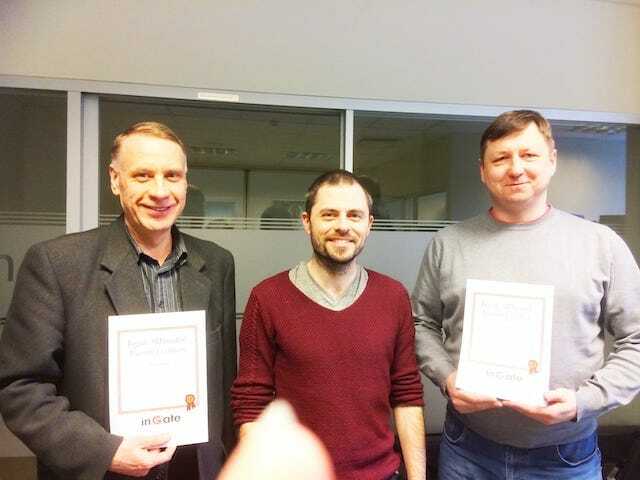 Ingate Systems was recognized in Dagens Industri Di Gasell business growth awards, in which Dagens Industri profiled established companies that at least doubled their growth for the past four years, and at the same time had organic growth and healthy finances. The list is published in the December Issue of Dagens Industri. Before that, in 2016, Ingate Systems was aslo ranked high in Deloitte's prestigious "Sweden Technology Fast 50" Top List. From virtualization to security, session border controller capabilities continue to evolve. "Ingate Selected for Municipal SIP Trunking in Canada" Read the press release here. Ingate® Systems CEO Karl Stahl Honored as WebRTC Pioneer. Ingate CEO Karl Stahl has been recognized as a pioneer in the emerging WebRTC market at the WebRTC Conference & Expo IV. Click here to read more. Watch video interview with Christian Wannerwall, Marketing at Ingate Systems, talking about Ingate's participation at ITEXPO, Ingate´s products and some of the trends shaping UC today.